If there is one good habit that I picked up over the years, it would be eating breakfast every morning. Under the influences of my colleagues who love their morning cuppa, I became a member of the breakfast club. 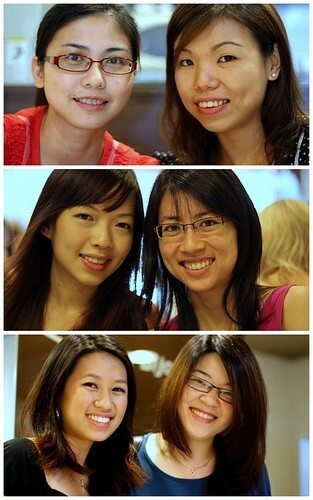 So it is not surprising that we met up with an ex colleague over breakfast when we went down to Singapore last month. 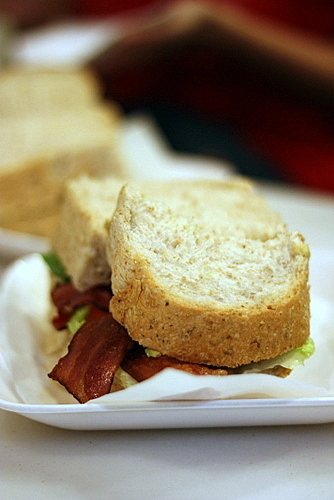 Ex colleague A recommended their signature sandwich BLT (bacon with lettuce, tomato and avocado, sgd 6.90). The combination sounds so delicious that I can’t wait to sink my teeth onto it. The sandwich packs a burst of fresh flavours with its spread: bacon, avocado, lettuce and tomato. Very filling and really tasty! Another colleague chose the breakfast set that consists of scrambled eggs with a choice of bacon, chorizo sausage or ham with 2 slices of toast (sgd 7.90). 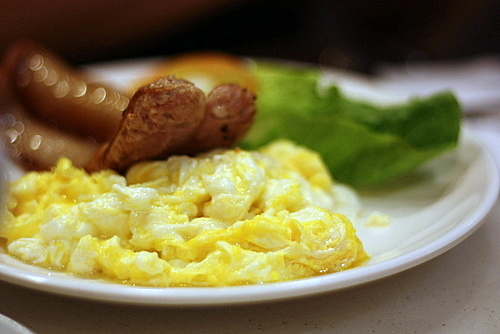 The scrambled egg was slightly runny, evenly textured, and creamy while the sausages were a tad too oily for her liking. Feeling famished, our friend chose to combine two breakfast set together and tada! Take a look at the crazy amount of bacons. 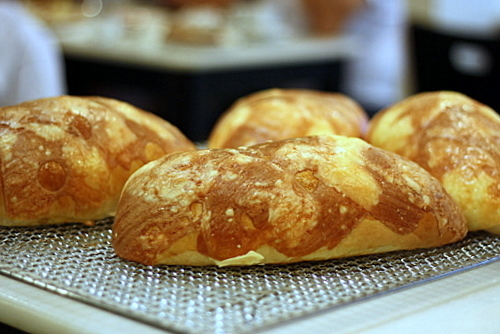 The freshly baked cheese top bread looks so inviting. 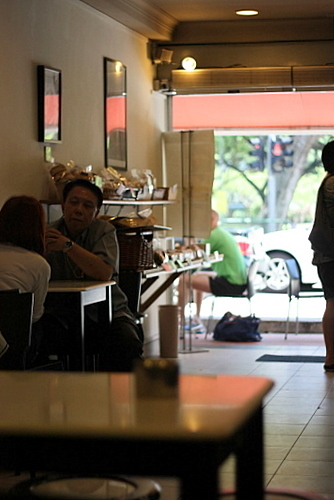 Freshly baked is also famous for their ciabatta, cranberry bread, cookies and cupcakes. 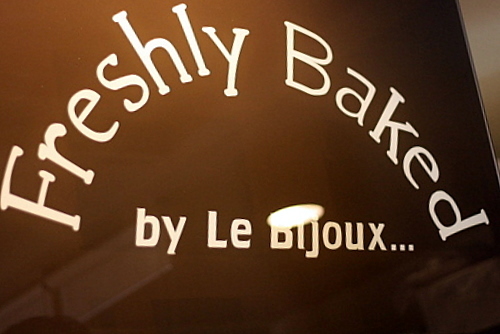 Freshly Baked by Le Bijoux is truly a gem. 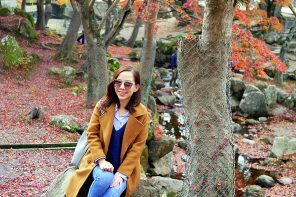 We spotted a lot of regulars and expats who make their trip here for the breads. Service was warm and attentive too. From somerset station, take exit 3, walk along Kiliney Road and follow the whiff of freshly baked breads. It will lead you to the loaf heaven. .-= wyyv´s last blog ..Mr Siew Bao @ Plaza Mont Kiara =-. So that makes it a BLTA? Plus avocado. 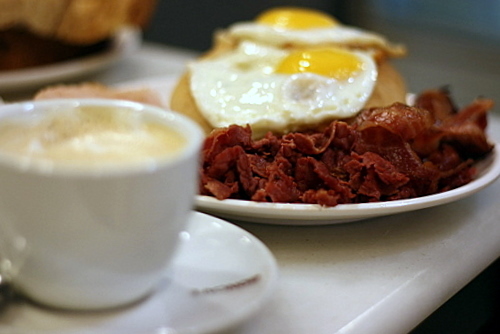 Good, hearty breakfasts are beneficial, but sometimes the sleepiness kicks in very fast. 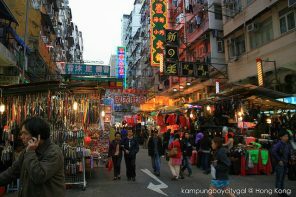 .-= J2Kfm´s last blog ..Sin Hup Kee Restaurant @ Ipoh =-. yer i wan. and also bugis shopping too. 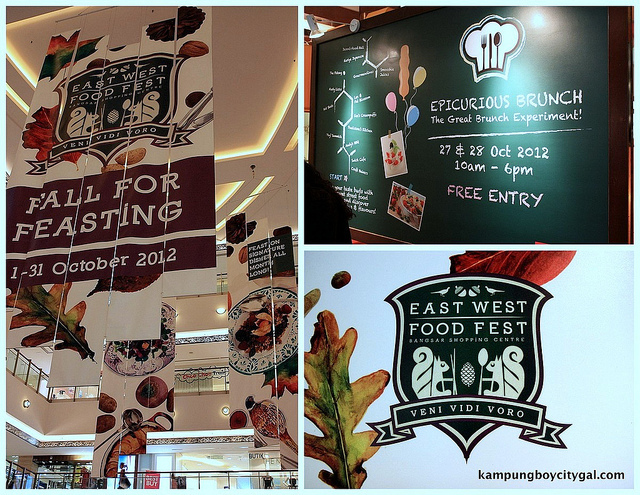 .-= ai wei´s last blog ..Food Crawl- Jaya One Part 2 =-. I want that doubles shot breakfast! 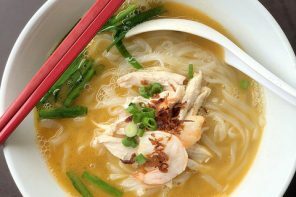 .-= mimid3vils´s last blog ..Restaurant Su Zhou Noodle =-. 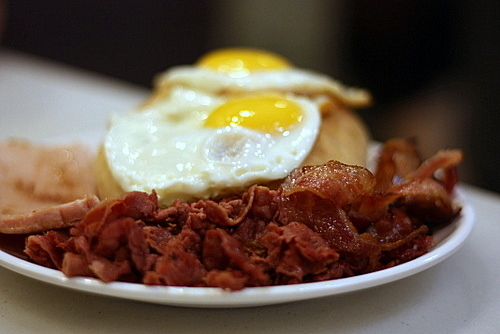 Now I know where to get sumptuous breakfast when I go to Singapore in November. .-= Simon Seow´s last blog ..We Can Has Free Beer =-. Wow~~ It’s good to have such delicious food as breakfast!